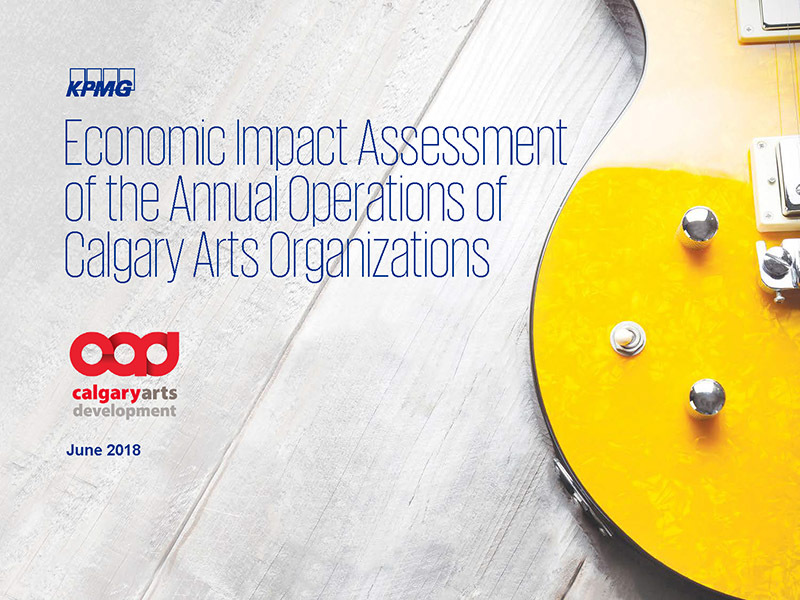 In May 2018, Calgary Arts Development contracted KPMG, a leading global professional services firm, to independently conduct an economic impact assessment of Calgary arts organizations. 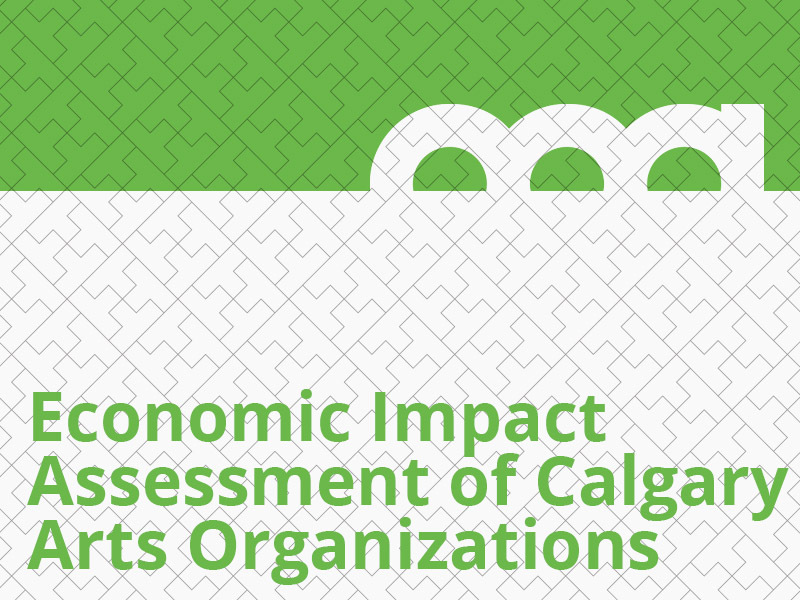 The assessment measured recurring economic impacts resulting from the collective operating expenditures of 156 not-for-profit arts organizations that receive Operating Grant support from Calgary Arts Development. 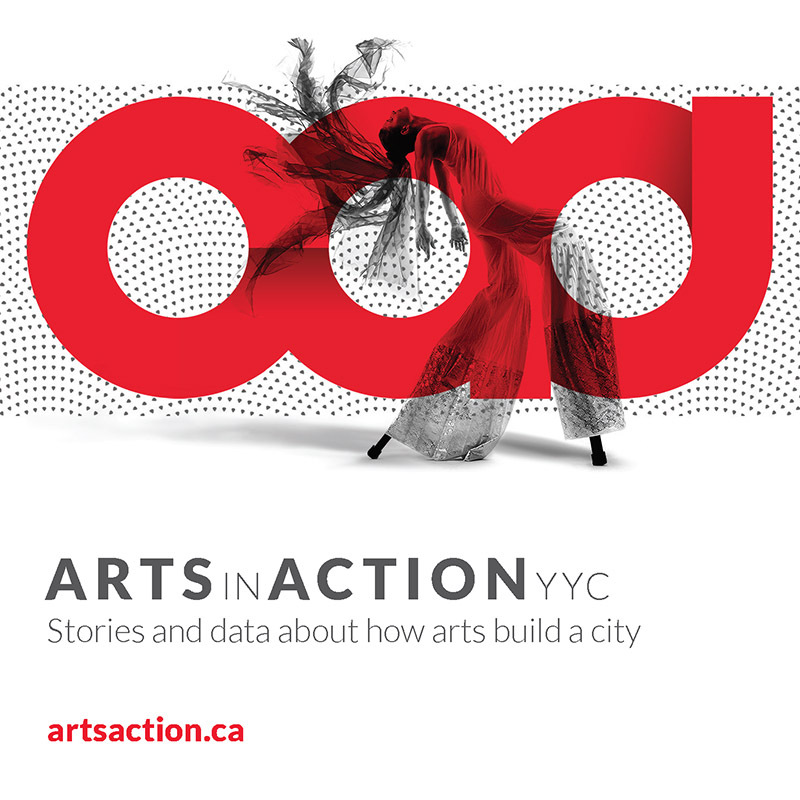 Economic impacts were based on actual annual operating expenditures of 156 arts organizations who receive grant investments from Calgary Arts Development. These are incremental dollars to the economy as a result of the presence of these arts organizations in Calgary, and is a conservative estimate of economic impacts. The economic impacts relate to the direct and indirect impacts from the injection of dollars that result from the operating expenditures of these collective arts organizations. Types of operating expenditures include: salaries and benefits, production and equipment, fees paid to artists, rent and facility costs, marketing and communications, supplies, administrative, and other costs. Generate an estimated $134 million annually in value-added or GDP impacts to Canada from ongoing annual operating expenditures into the provincial/local economy (with $107 million annually in GDP impacts to Alberta alone, and because they are based in the city, dominantly to the Calgary region). Create or sustain an estimated 1,550 full-time equivalent jobs, with close to 1,000 of them created directly within the organizations receiving municipal funding. Return significant taxes/revenues to government from the ongoing operational expenditures spending, with direct and indirect impacts on government revenue estimated at $16.6 million, with over 80% to the federal government and the provincial government. KPMG utilized the Statistics Canada Input/Output Model. Statistics Canada Input/Output Model is the authoritative input/output model in Canada and has the most comprehensive sets of data available in Canada. The model is independent of any private firm and is recognized by many as the benchmark by which economic modeling is undertaken in Canada. The Statistics Canada model is updated annually. The Statistics Canada Input/Output Model can be used for many types of industries and impacts, which makes it more flexible and also allows for comparison between studies. There are limitations in all input/output models, but Statistics Canada is the most frequently used in Canada. It is flexible, rigorous, and allows for comparison between provinces and sectors.